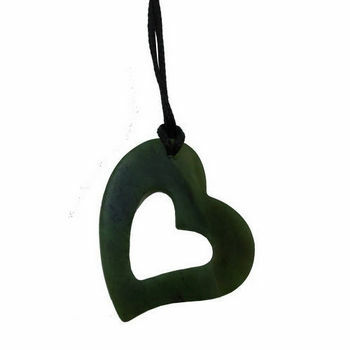 This gorgeous heart pendant made with genuine New Zealand greenstone is crafted to the highest quality by Jewellery of New Zealand. 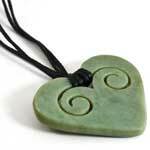 Comes with an adjustable black cord and blue organza pouch. 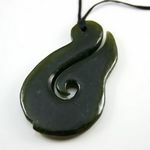 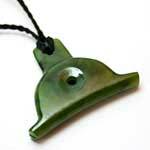 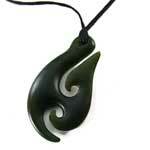 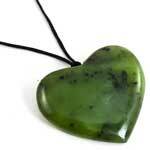 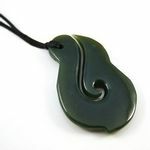 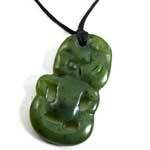 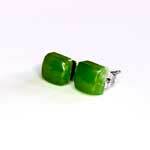 In New Zealand greenstone is the national gem and has been highly prized for hundreds of years. 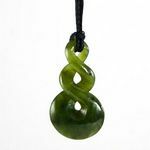 The stone is characterised by its strong deep colour which symbolises strength of character, good fortune and deep strong relationships. 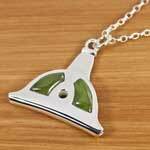 Wear this pendant with pride and affection. 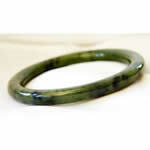 Measurements: 45mm long and 36mm wide. 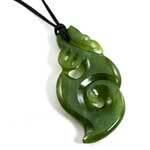 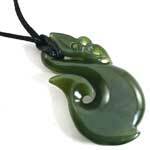 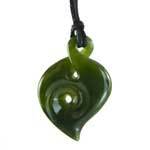 Jewellery of New Zealand have designed and hand-crafted jewellery since 1991. 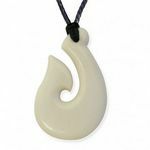 Inspired by the rich heritage of natural beauty, Maori and other cultures in New Zealand, their jewellery reflects the harmony between nature and human beings. 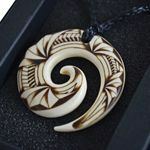 Their love of nature radiates through the range of jewellery to create a unique fashion experience.